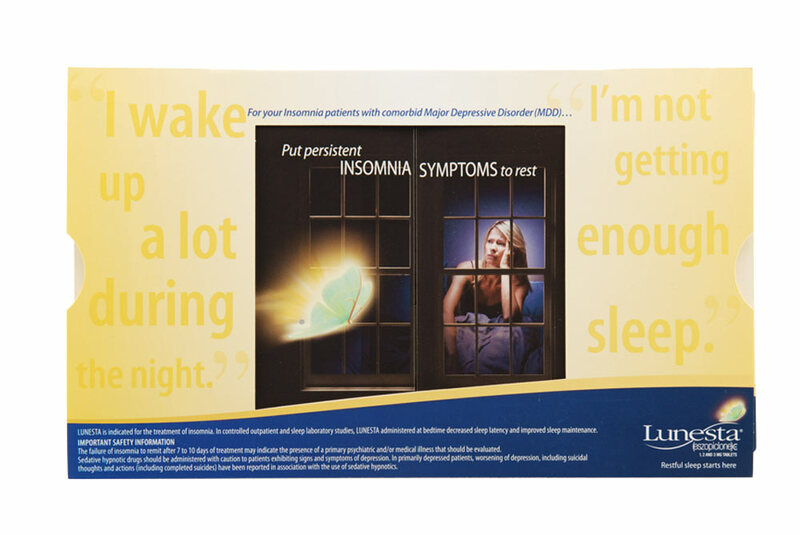 As seen in commercials across the nation, Lunesta's advertising campaign centers on a glowing butterfly flying through the bedroom window of a woman with troubled sleep. 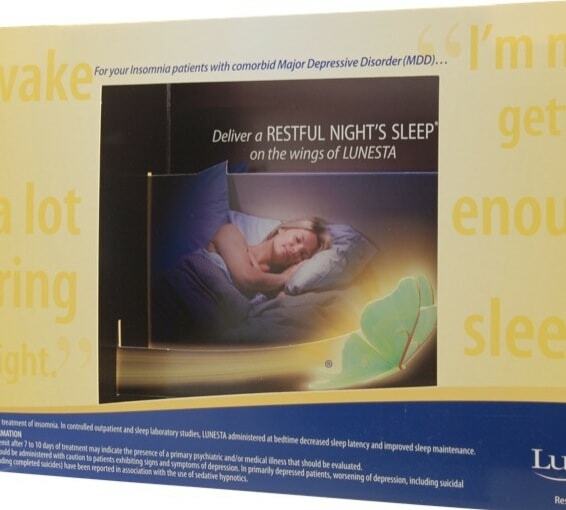 The butterfly, much like the Lunesta drug, helps lull the woman into a deep, uninterrupted sleep. 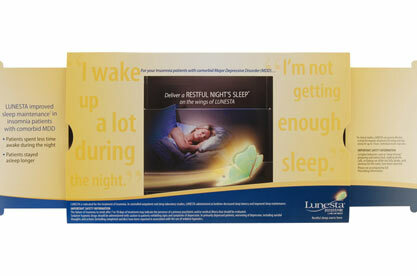 Lunesta challenged its agency, Sunovian, to creatively translate this commercial into a tactile, print piece. Sunovian and Lunesta turned to Americhip and their team of paper engineers. Together they used Americhip's 3D Stage design to tell the story of the hypnotic butterfly. 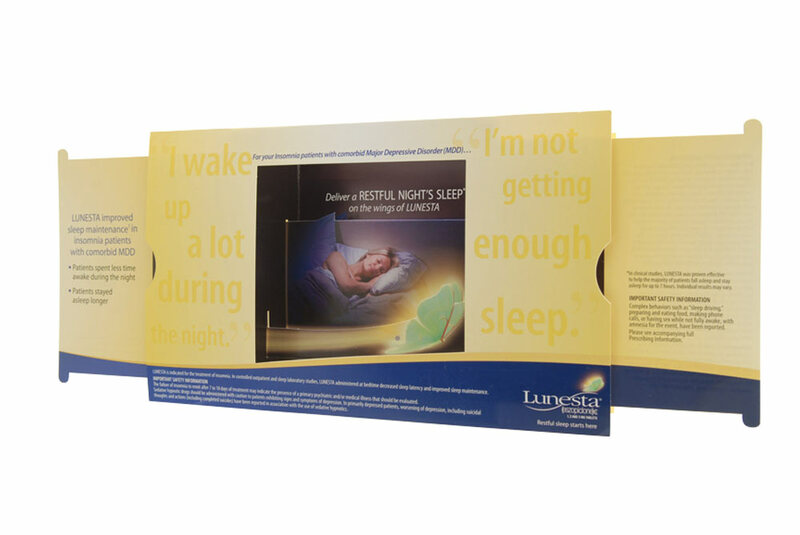 At first glance the mailer appears one dimensional, but once the ends of the stage are pulled, the bedroom window slides open to reveal a 4-layer deep pop up. This unique design was able to tell the story of the woman who can now sleep peacefully with the help of the butterfly fluttering beside her. Lunesta was thrilled with the ingenuity of the dimensional piece. 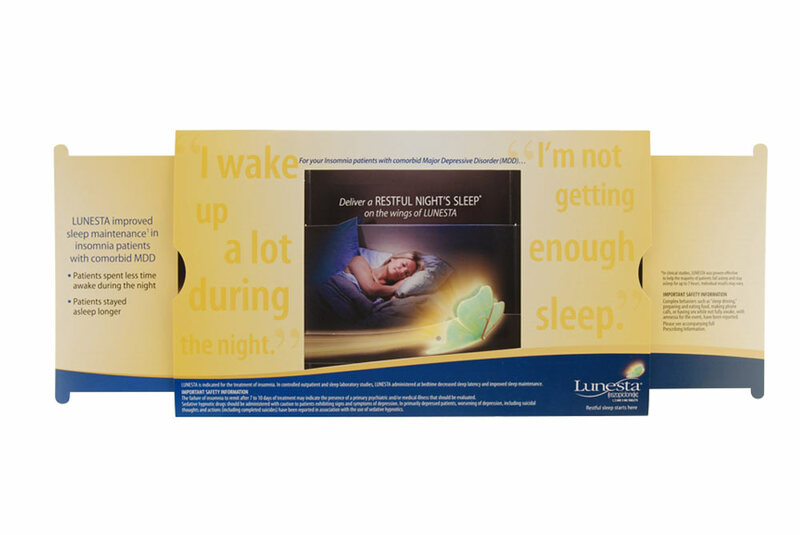 Not only was it able to extend its marketing campaign to a new audience, it also proved to be a mailer that consumers noticed and passed along to their family and friends.